In the mid-1930s, North America's Great Plains faced one of the worst man-made environmental disasters in world history. 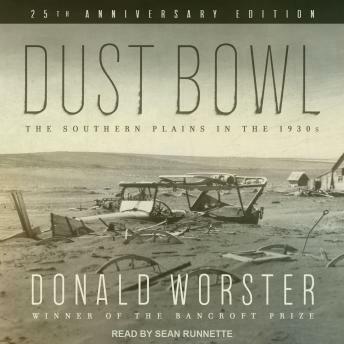 Donald Worster's classic chronicle of the devastating years between 1929 and 1939 tells the story of the Dust Bowl in ecological as well as human terms. Twenty-five years after his book helped to define the new field of environmental history, Worster shares his more recent thoughts on the subject of the land and how humans interact with it. In a new afterword, he links the Dust Bowl to current political, economic, and ecological issues-including the American livestock industry's exploitation of the Great Plains, and the ongoing problem of desertification, which has now become a global phenomenon. He reflects on the state of the plains today and the threat of a new dustbowl. He outlines some solutions that have been proposed, such as 'the Buffalo Commons,' where deer, antelope, bison, and elk would once more roam freely, and suggests that we may yet witness a Great Plains where native flora and fauna flourish while applied ecologists show farmers how to raise food on land modeled after the natural prairies that once existed.